Krista Koval is a graduate of Moncton’s Eastern College 2200 hour Massage Therapy program. During her studies, Krista also completed over 500 hours of hands on clinic practice (exceeding the required 440 hours), where she learned a variety of techniques for treating stress, pain and variety of physical conditions and disorders. As a regulated Health Care Professional, Krista’s focus is to provide each client with an extensive and systematic assessment, formulate an accurate clinical impression and develop the most comprehensive treatment plan based on each client’s needs and goals to relieve and / or prevent physical dysfunction. 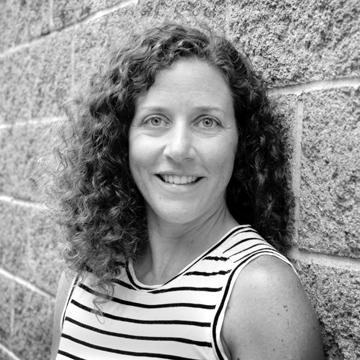 Through College, Krista acquired Swedish, deep tissue, hydrotherapy and myofascial pain / trigger point techniques. She has also been certified in Neuromuscular Fascial Alignment (NFA), Indirect Myofascial Alignment, Mobility Taping and taken a course in Reflexology. Krista is eager to hone these techniques and acquire new ones through continued professional learning to have a well-rounded ‘tool box’ equipped to be able to respond to each individual’s needs. Krista is an active person and understands very well the frustrations of injury, sickness, decreased energy levels and the role stress can play with the mind and body. Her goal is to understand each client’s specific needs to help them relieve stress, accelerate recovery from ailments and injuries, and maximize their potential by helping them stay happy, healthy and moving. She treats the whole person by seeking the root of the cause, not just the symptoms. Krista is an experienced athlete and coach. She has competed in many cycling disciplines, running, triathlon and crossfit for over 20 years and has coached cycling, bootcamps and crossfit for the past 6 years. More recently she can be found trail running, mountain biking and working on functional mobility and movement patterns. This experience and accreditation are valuable assets to recognizing physical ailments, limitations and potentials of her clients.